Los Alamitos Creek flows from the flanks of Mount Umunhum to where it joins Guadalupe Creek just below Almaden Lake as the source of the Guadalupe River. That river carries on through San Jose to San Francisco Bay. 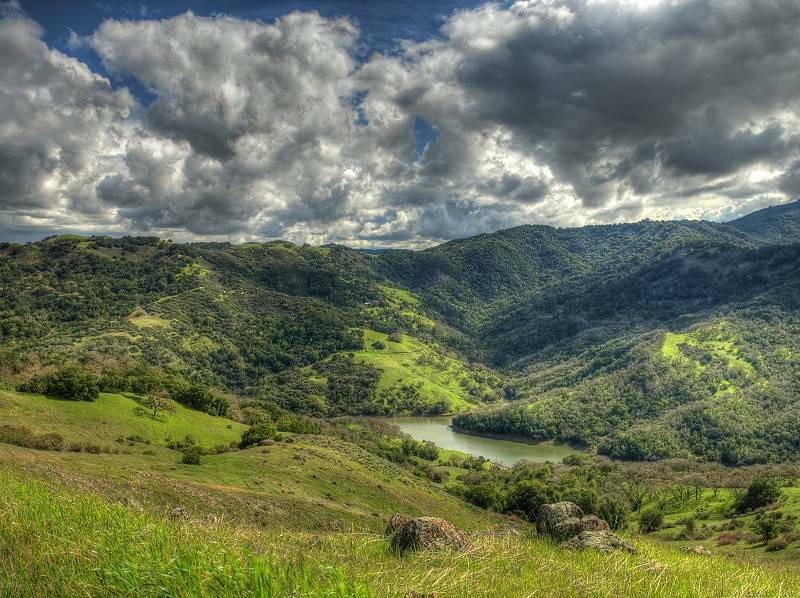 The Los Alamitos watershed is the area sloping down to this creek, which ranges from the slopes of the coastal range to the residences and businesses of the Almaden Valley. It has both great beauty and history going back to the Native Americans and to the discovery of ore of the liquid metal mercury, which was important to the development of civilization as we know it today. 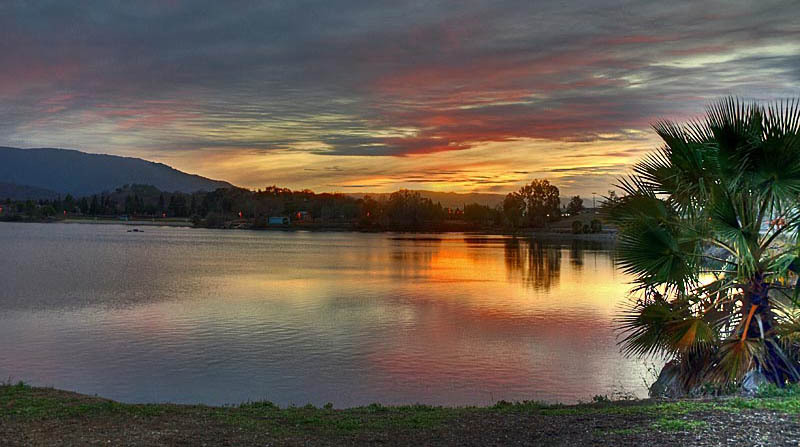 FOLAW, the Friends of Los Alamitos Watershed, is a small community organization dedicated to celebrate the beauty and history of this region, and to help with its beauty and quality through education and community service. We would like to thank the Santa Clara Valley Water District for their watershed grant, supporting our website and sign project. Celebration Announcement: The Friends of Los Alamitos Watershed celebrated the Hacienda Mercury Sign Installation Celebration Event at New Almaden Quicksilver County Park's Hacienda Parking Lot on Monday, February 25, 2013, at 1:00 p.m. to 2:00 p.m. See our Hacienda Signs section for more details. Meeting Announcement: Due to the celebration event on February 25, our next meeting is on Thursday February 28, 2013 has been cancelled. 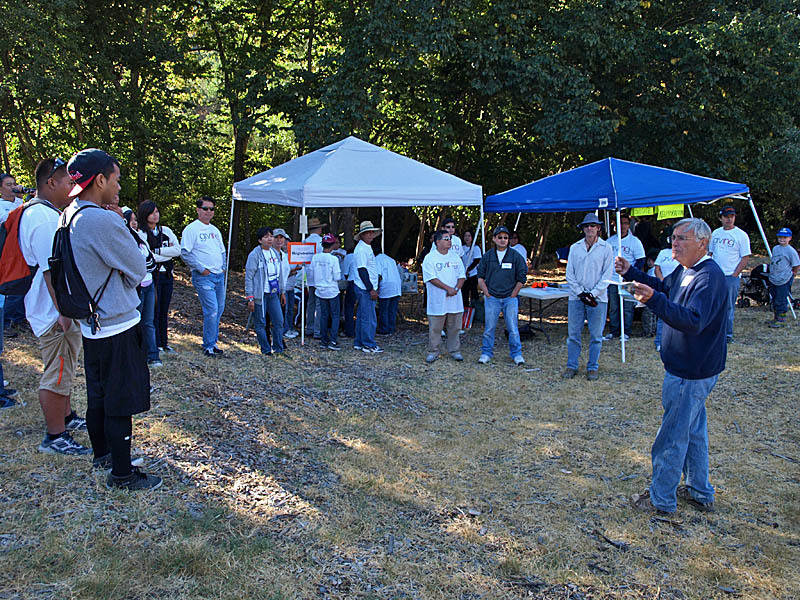 FOLAW organizes creek cleanup in the watershed, removing trash from the roadsides and stream banks. This is done both independently and in cooperation with other conservation organizations in the region. See the Creek Cleanup section for more information about past and future activities. We also have informational meetings on topics of interest about the watershed and issues affecting it. These range from presentations on the history and contributions of the region as well as other issues facing the community as they arise. See our News and FOLAW Meetings sections for more information. We have held community antique auctions. The funds raised were to pay for our incorporation as an educational non-profit organization and for our modest running expenses. This is a volunteer activity with no one getting paid. See the Fundraisers section for more information and news about upcoming events. We are working on a project to put up informational signs on mercury near Los Alamitos Creek at the Hacienda entrance to Almaden Quicksilver County Park See the Hacienda Signs section. A significant element in our heritage comes from the rich deposits of mercury in the coastal range which were first discovered in our watershed and mined from the early 1840s to 1975. Mercury is not unique to this site. It deposited in cracks and joints in the broken rock throughout the region. Most of it was long gone before mankind discovered it, having been eroded away as the coastal mountains built up and deposited in the soil throughout the region, particularly in the valleys. Mercury has served mankind for at least the past 3500 years. This liquid metal has many uses from percussion caps that set off bullets to medicines and electric lamps, including the compact fluorescent lights which deliver more than five times the illumination as incandescent lamps using the same energy. Mercury is also a toxic substance in certain chemical forms. Fortunately, the mercury in our environment is a sulfide called cinnabar. It is highly stable chemically, which is why it has remained in the deposits in our environment. There is more on this including a discussion of efforts to remove the mercury from the environment through a process called a TMDL, which is a Total Maximum Daily Load that is allowed to be emitted. This all is discussed in the sections called Mercury and Resources.